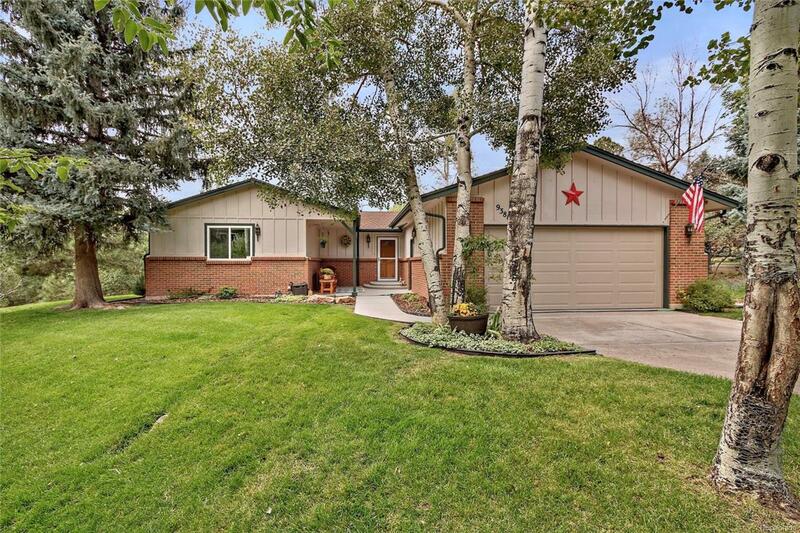 Meticulously maintained ranch style home privately tucked away at the peak of a cul-de-sac residing on one third of an acre lot surrounded by lush mature landscaping and siding to a natural green belt! Offering over 3,400 square feet, 4 bedrooms, 3 full bathrooms, 2 fireplaces, formal dining room, finished basement with a kitchenette, beautifully updated eat in kitchen, and a bright and airy master suite with an attached master bathroom and private access to the new backyard trex deck! Enjoy every moment of the Colorado outdoor lifestyle while you relax and unwind on any of the 3 patios as you watch and listen to the wildlife pass you by!MOVE IN READY! Offered by Berkshire Hathaway Homeservices R E Of The Rockies. Association Name Primary The Pinery Homeowners' Association Inc.